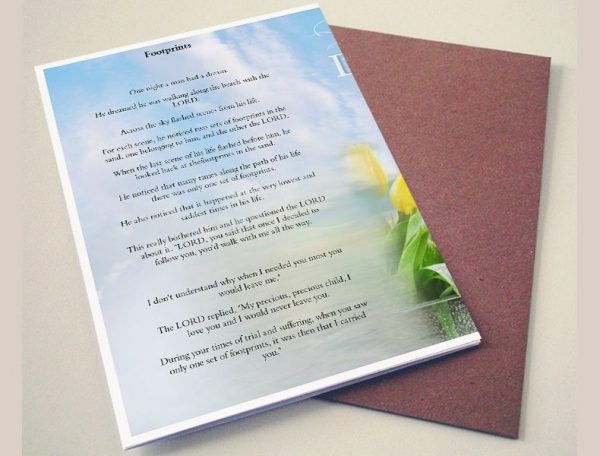 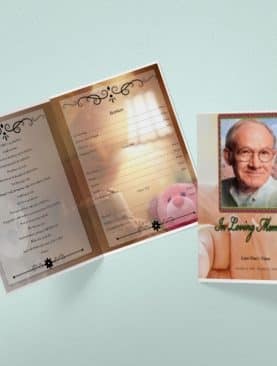 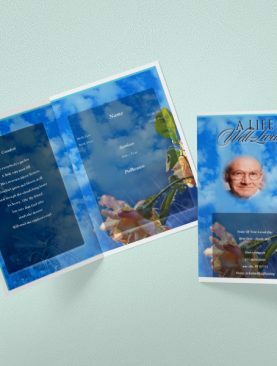 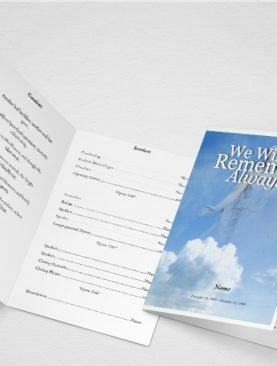 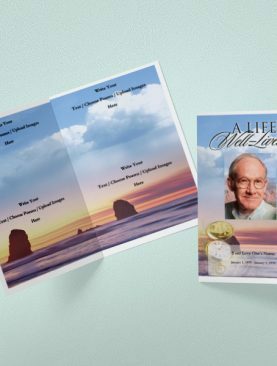 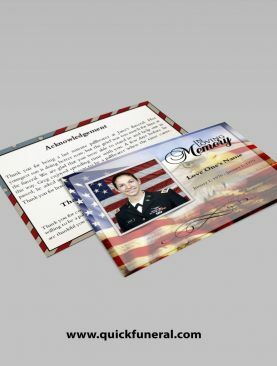 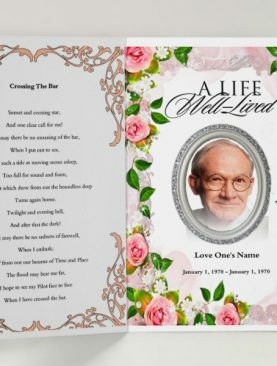 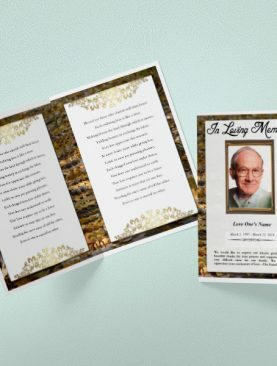 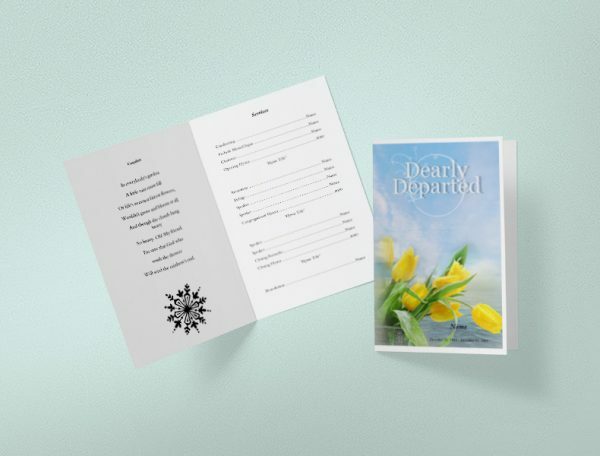 The notable perspective of this given Footprint Funeral Program Template is looking extremely beautiful and respectable that is holding a size of 8.5″ x 5.5″.The shading that it is having out of sight is “adding the quills to one’s top”. 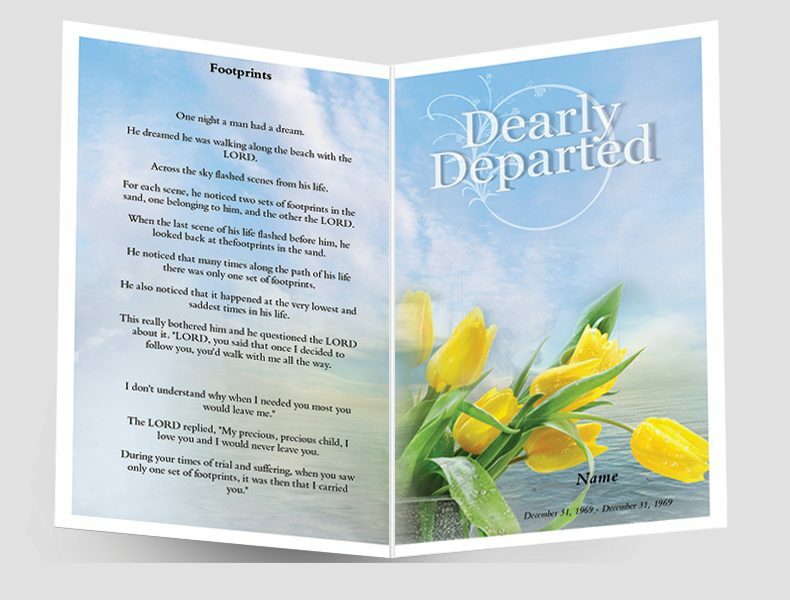 At the base right of this layout, beautiful bunch of yellow roses can be seen that are known for having their own particular dialect. 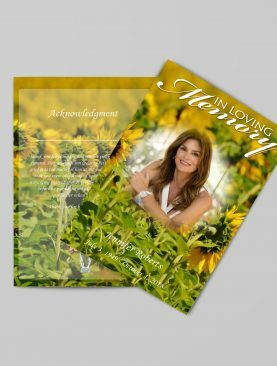 Yellow color of flowers delineates a sensitive signal of communicating a sympathy.